All 7 Owarimonogatari Second Season Episodes Airing Aug. 12 & 13! This will be just quick note. We have already in past got with ReLIFE all episode in one day and now the trend continues with Owarimonogatari Second Season. 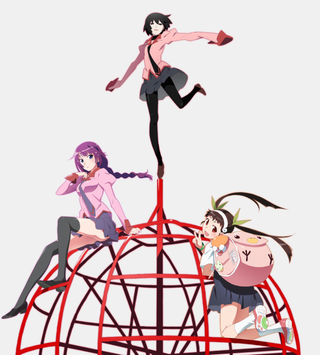 The first and second books of Owarimonogatari were adapted into an anime that aired between October and December in 2015, and now fans will get to see the final three arcs of the final book, “Mayoi Hell”, “Hitagi Rendezvous”, and “Ougi Dark”, in this final season. All 7 episodes will be broadcasted on Aug. 12 and 13 beginning at 7:00 pm on TOKYO MX and AbemaTV, at 8:00 pm on BS11, and 9:00 pm on Tochigi TV and Gunma TV. And finally question on you - what do you like more? Do you rather binge the show or is weekly episode release the better format for you?